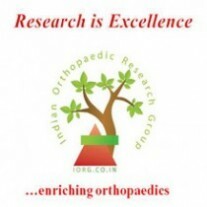 A multitude of journals and large number of articles are been published daily, enriching the Orthopaedic Literature. Few of these articles are free; however most of them are paid articles. Having access to all the sites or buying an article might not be feasible options of researchers in our country where no official funding is available for research and authors have to pay from their pockets for these research papers. Also many older volumes of journals are not available online and only hard copies of such articles exist. Recently we had a similar experience where we could not get full text of an article as it was not available online. We directly wrote to the authors, requesting them to provide us their manuscript for research purposes only. The author was kind enough to provide the manuscript. With this the idea of ‘Article Sharing Programme’ originated. Authors-Share-Article Programme (ASAP) is an unique programme where the members of Indian Orthopaedic Research Group can share their published articles with each other. The authors of any article are bounded by copyrights, however sharing to peers and colleagues is allowed by most publishers. Also in cases where there are no online soft copies available, the authors remain the only source of the articles. The ASP will collaborate between authors and the researchers thus helping both in getting a citation and reference respectively. Further details are provided in FAQ format. What is Authors-Share-Article Programme (ASAP)? This is an initiative by Indian Orthopaedic Research Group where by sharing of manuscript is facilitated among the members. Researchers who are working on particular projects and require to request an article to IORG members have to fill the ASAP Request form (Provided Below). IORG will then forward this request to the authors and provide the feedback. IORG is also in the process of forming an ‘Article Pool’ where all members with published articles can upload their manuscripts. This data base will also be utilized to get the requested article. Will ASAP definitely provide the required article? IORG and ASAP will try to get the article from the authors. It depends on the authors to decide whether to provide the article. Also IORG will forward a formal request even to Authors who are not IORG members. This will increase the chances of getting the article for required purposes. Who can apply for ASAP? This service is currently available for Indian Nationals only who are Life Members of IORG. Members of IORG belonging to other countries may also submit their requests and decision will be taken depending on the discretion by IORG Core Committee. What are the terms and conditions for applying to ASAP? The authors will be required to fill the ASAP Request form given below and mail it to indian.ortho@gmail.com . We will inform the authors within 48 hours regarding forwarding of their request to the respective article writers. A response will be expected within 5 days. Thus a total period of 5 to 7 days will be required for this entire process. Are there any additional terms and conditions of ASAP? Except the aforementioned conditions no other terms and conditions apply for this service and this service in entirely free service for academic and research purposes only.